Caio Fernandes Zani is a Brazilian Masters student at the University of Sao Paulo. 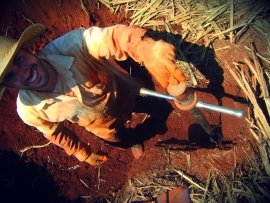 Here he writes about his research into sugarcane's impact on soil carbon storage, and about his experience with CEH at Lancaster. Carbon is increasing in the atmosphere, partly due to such factors as intensive land use and badly managed land. This increase in carbon has consequences on a global scale, contributing to climate change. Soil, however, may help, acting as a trap to store carbon, which is why several international protocols mention carbon sequestration as an important parameter in sustainable agricultural systems. 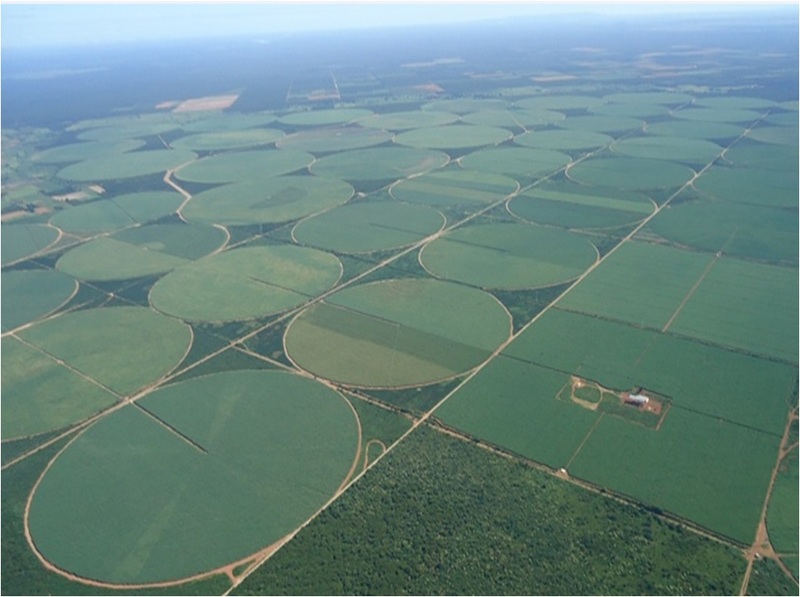 This potential in soil greatly interested me, and I decided to research how soil carbon stocks may be affected by important management changes in my home country, Brazil. 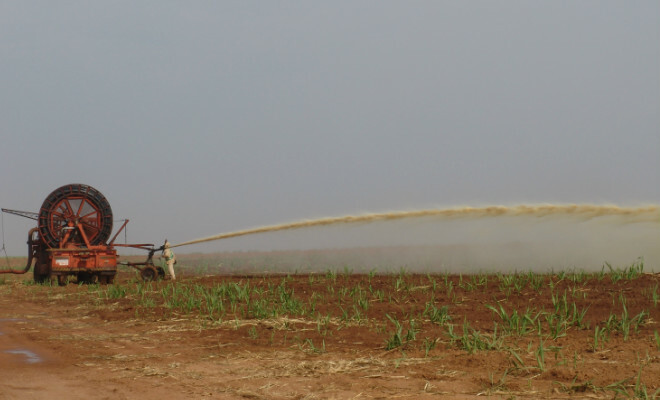 I wanted to look at whether specific management practices, such as irrigation and the application of wastes (by-products) from the production process, could also help by providing an increase in carbon in the soil. I chose to focus on sugarcane in particular because sugarcane production is particularly important for the economy of Brazil, as with many countries worldwide. It is considered an exemplar feedstock both in economic and sustainability terms - it one of the most sustainable energy crops in the world. It also plays a major role in the supply of ethanol as a biofuel, thus substituting the use of fossil fuels like gasoline. I had the opportunity to continue these studies overseas when Dr. Niall McNamara from CEH’s Lancaster site came to Brazil to visit my advisor, Prof. Dr. Carlos Clemente Cerri, at the University of Sao Paulo. Though I had never been out of Brazil, it had always been my dream. I saw his visit as a chance and tried to make a good impression with my best presentation of my project for him (although my English skills were not great!). Well, I guess that it worked as he enjoyed it and invited me to go to Lancaster, as long as I could get a scholarship from Brazil to do a part of my Masters. I wrote proposals and more proposals to potential sponsors, and guess what?! I got it. It was the best news that I could have had in my whole life. The outcomes of my research suggested that the use of practices considered sustainable would lead to an increase in soil carbon stocks. 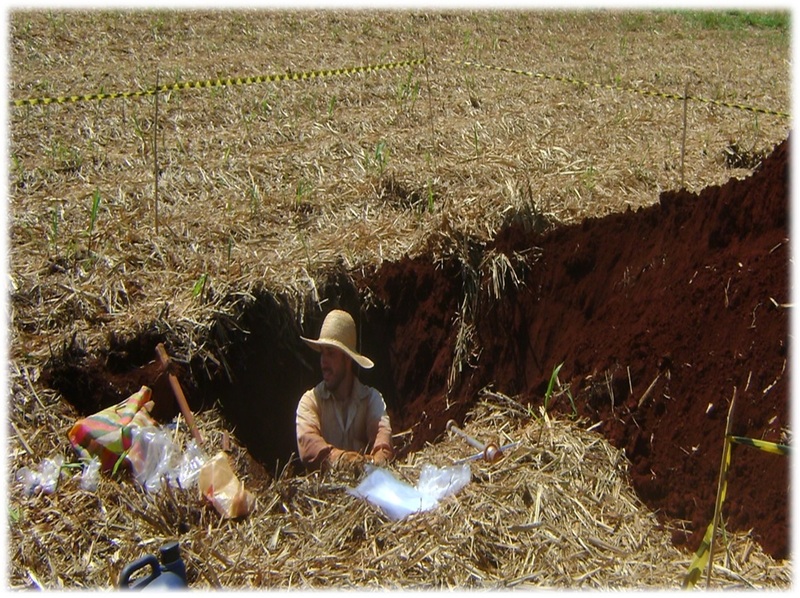 The use of by-products provided by sugarcane chain in the field was beneficial for the soil carbon storage, indicating an accumulation in short and simulated long-term analysis. The use of irrigation system indicated a slight increase on soil carbon stock as well; however, it was less prominent than expected. Nevertheless, it seems that irrigation induces soil carbon stock increases for topsoil layers and could provide losses for deep layers. Therefore, future research is still required to test our long-term impacts on a range of soil and investigating the mechanisms of these changes, as well as to understand the economic and practical feasibility. The significant increase of soil carbon stock due to management change found in my study could be considered in future life-cycle analyses. The IPCC, for example, omits evaluation in deep layers, but they must also be considered since they may have a higher potential to avoid soil carbon losses for atmosphere than topsoil layers. Besides that, our research indicated that management change for improvement practices may also reduce the payback time for sugarcane ethanol. Potentially delivering low-carbon renewable fuels through such improved management, contributing to current debates about expansion and energy demand, could be wonderful. 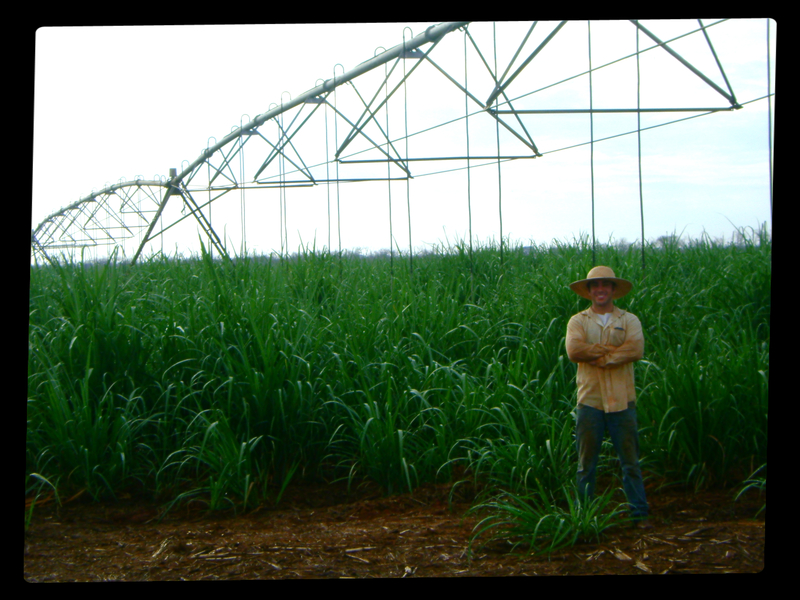 Finally, the results generated in this experience with CEH can be used as a basis for other scientific studies, especially for management change and irrigation sugarcane fields reporting the sustainability potential of sugarcane ethanol. This can be useful to drive public decision makers, stakeholders and sugarcane private sector in the establishment of appropriate management strategies for growing and development of sugarcane chain. Well, numerous factors during my master’s culminated in a wonderful and unforgettable season in Lancaster. The opportunities due to this time spent in Lancaster were awesome! I had the opportunity to learn a lot, and at the same time face the challenges of a different language and culture. I got to know some very friendly people, and their patience aided me even more in this experience. Dr. McNamara and his group were very kind, and they taught me many things about soil, mathematical models, stats, and of course how to improve my English skills. Lancaster University, where CEH’s Lancaster offices are based, provides a comfortable place and courses for my improvements. My viva was just last May, and I received many compliments from examiners, especially about my experience in Lancaster. I am trying to go back to Lancaster again to do my PhD, and I know that I can learn even more with them. I am crossing my fingers also to publish the results of my research as soon as possible - my experience in Lancaster and from the Centre for Ecology & Hydrology put me in the right way to better understand my results, and gave me a broader view in my scientific career as well as my personal life. I feel ready to address more obstacles after this experience. To sum up, I am sure that all of these aspects were very important not only for my master’s degree but also for my personal development. Besides that, it has also encouraged several students from Brazil to ask for a scholarship and experience this kind of exchange of knowledge. This stage was unique, and the grander experience, those people, and Lancaster University, will be always kept in my memory. My heartfelt thanks for everything. “Great things are never done by one person alone”. Hope to see you soon Lancaster!